LJIC #TUES-TIMONIAL WITH DANIELLE COOK! Meet Danielle Cook from La’ James International College in Davenport. 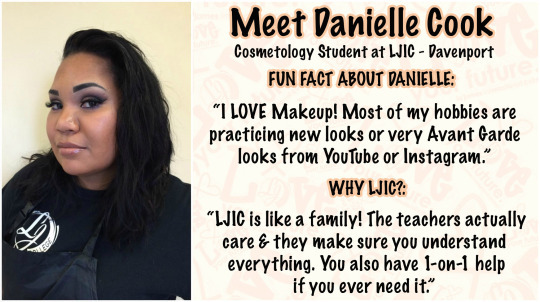 Danielle is a Cosmetology student who enjoys using Social Media outlets to discover & practice new ideas & trends in the industry!